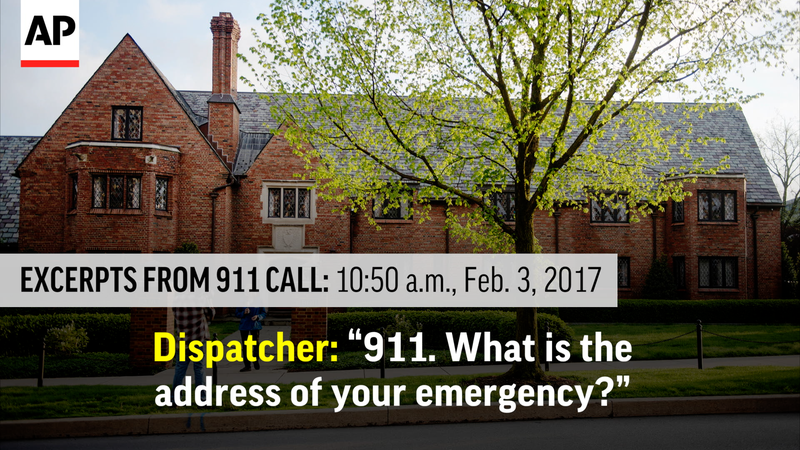 HARRISBURG, Pa. (AP) — A Penn State University fraternity member calmly told a dispatcher “we have a friend who’s unconscious” as he summoned help in February for a pledge who would soon be declared dead of a traumatic brain injury, according to a 911 tape released Monday. The call from Beta Theta Pi member Ryan McCann was made nearly 12 hours after Timothy Piazza fell face-first down a basement stairway Feb. 2. Piazza, from Lebanon, New Jersey, died two days later at a hospital 100 miles away. He did not mention Piazza’s name, but told the dispatcher that the victim was breathing and 19 years old. McCann is among 18 members of the fraternity facing charges in Piazza’s death. He is scheduled to be arraigned Tuesday on accusations he tampered with evidence. He declined comment Monday and referred questions to a lawyer who did not immediately return a phone message. Authorities say video surveillance shows Piazza stumbling and falling after an alcohol-fueled pledge acceptance party. Eight members of the fraternity face allegations that include involuntary manslaughter and aggravated assault, with some charged with 200 separate counts. Others, including McCann, are accused only of a single charge of evidence tampering. A lengthy grand jury report issued last week described how Piazza, at the fraternity to accept a pledge bid to become a member, was recorded on security camera footage as he appeared to quickly become inebriated and then fall several times over the course of the evening. Members of the fraternity resisted efforts to call for help and may have made his injuries worse, according to police and prosecutors. Doctors have estimated his blood-alcohol level at one point reached nearly .40 percent, a dangerous level. The grand jury said recordings show Piazza being carried back upstairs after his first fall, and then falling and hitting his head at least twice overnight before taking a second tumble down the stairs in the morning. After he was found the next morning, brothers spent about 40 more minutes trying to revive him, including efforts to try to dress him, before McCann finally called 911. The university on March 30 issued a permanent ban on Beta Theta Pi, which was once regarded as a model fraternity, accusing it of a “persistent pattern” of excessive drinking, drug use and hazing. The fraternity itself also is charged with involuntary manslaughter and hazing. Ten of the fraternity members, including those facing the most serious charges, were arraigned on Friday and each released on $100,000 unsecured bail. Defense lawyers and the fraternity members facing charges did not return messages or declined comment on Monday.